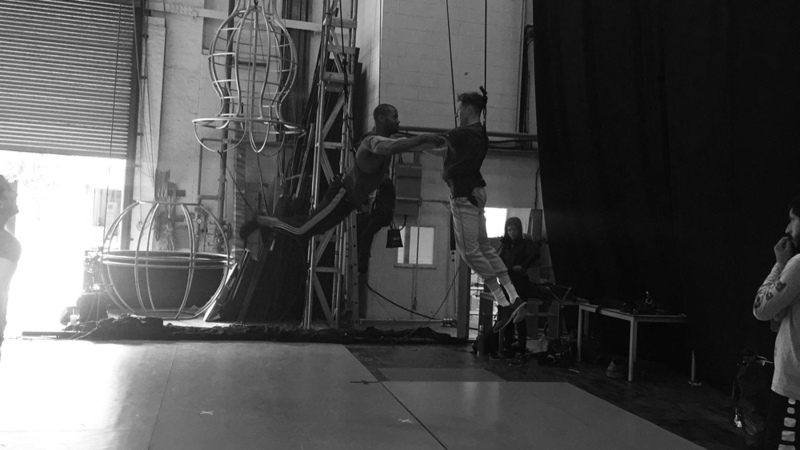 Assistant Director Nicole Charles on experimenting with flying effects for the production. 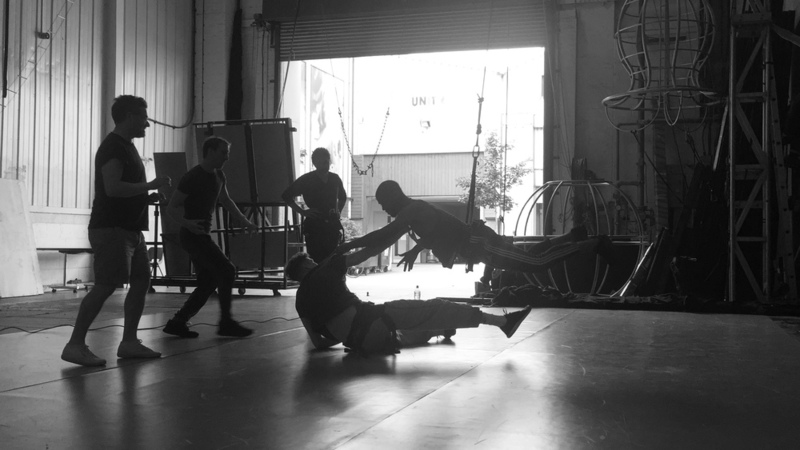 Matthew (director) and Chris (choreographer) worked with some of the cast on the artistic vision behind the flying sequences, and Chris worked very closely with Ira and Joshua to bring some of these ideas to life, aerially. The guys at Hangar working seamlessly with us, hearing the idea and the effect that is desired, and then instructing the actors how to technically make these ideas come to fruition. The art of counterbalancing is serious stuff. Moving up or down on the scaffold in the wrong direction could have the actors back on the ground, or worse still, hitting someone where they really don’t want to be hit. To produce just a minute of material, safely, required practice, patience and precision. As we got the hang of it, the battle scenes started to take on a magical, Matrix-like quality, and the physical strength present in the bodies of the performers to sustain themselves and each other in the air was an impressive sight. The final effect is stunning. I’m looking forward to further trips upstream to see more!